“We survived Saddam, we survived ISIS, and we will survive the Mosul Dam”. This statement from the Kurdish farmer Mohammed Nazir  gives the sense of the magnitude of danger behind what the US Corps of Engineers called “the most dangerous dam in the world” , at risk of failure due to its foundation defect. In fact, it was built on the wrong terrain, and at present is at serious risk of collapse and consequent ‘ecocide’ . In fact, the foundation lies on a geological formation composed of alternating beds of marls, limestone, gypsum and claystone, i.e. water-soluble minerals. When water infiltrates in such strata, vacuums and voids create, compromising the structure’s stability in phenomena known as karstification or slope stability (Al-Ansari et al., 2015; Sissakian et al, 2014). 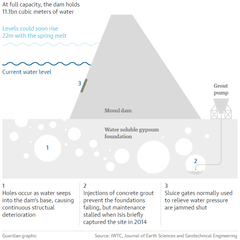 A number of studies have been devoted to the understanding of possible effects of a failure of the dam. 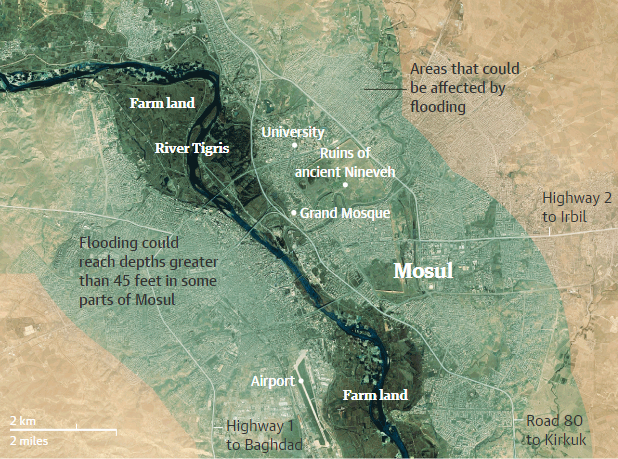 A simulation by the EU Joint Research Centre after a UNDAC mission on site concludes that if just 26% of the dam collapses, "a very high wave of water (in places 25m high, mean height around 12m) would arrive at Mosul city after 1h40min. The capital Baghdad is reached after about 3.5 days with a max water height of 8m and a mean of around 2m. A total of more than 6 million people will be affected by floodwaters, with two million of them facing water of more than 2m" (Annunziato et al, 2016). One of the main specialists of the case, Professor Al-Ansari, said that no matter what, the disaster is inevitable and “it will be worse than throwing a nuclear bomb on Iraq” . He also confirms the EU's results, stating that about 500,000 civilians would die after a dam failure (Al-Ansari et al., 2015b). 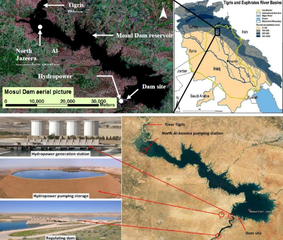 The idea of building dams in Iraq started in the first half of twentieth century due to increase of water demand by cities and the threat of halting waters by neighbouring Turkey and Syria who already built dams upstream of Euphrates and Tigris rivers (Al-Ansari et al., 2015). The discussion about the Mosul dam (also known as Saddam dam) started in 1950s and until 1980 some British, American, Finish, Yugoslav, Russian, French engineering firms succeeded one after the other in the design process. Works started during Saddam Hussein’s rule, who was launching an ambitious program of infrastructure development with the money coming from the nationalization of oil industry . In this scenario, Saddam ordered the construction to begin in 1981 as multipurpose facility for downstream irrigation, flood control and hydropower. He was additionally urged by the military situation in the south of the country during the conflict with Iran: the dam would have helped preventing any flood from stranding the Army . Finally, the dam was designed by a Swiss firm of consultants, a consortium of German and Italian companies (GIMOD, comprising the German Hochtief and the Italian Impregilo ) was asked to execute the civil works, while the Japanese Toshiba took charge of the electromechanical parts. The works finished in 1986, with a total cost of 2.6 billion US$ at the price level of the time (Al-Ansari et al., 2015). The chosen location was offering the largest potential reservoir, together with the opportunity to open up tens of thousands of acres north of the dam to agriculture. It is not clear how the big mistake of underestimation of stability risk have been made, and who is the real responsible. However, the general feeling is that hurry was dominating Saddam and his entourage, regardless the warnings advised by the Swiss consultants in charge of the design , . In an interview, the Iraqi-American civil engineer Azzam Alwash who advised during construction works, commented about the stone memorial commemorating nineteen Chinese workers who died during the dam construction that “in Iraq, when laborers fell into wet cement during large infrastructure projects, it was common for the work to carry on. When you’re laying that much cement on a dam, you can’t stop” . Shortly after the dam completion sinkholes and pools of water begun bubbling up on the banks downstream, and cracks on the terrain started appearing. Two measures were taken by the government: (i) a maintenance program through the ‘grouting’ technique (consisting of filling the voids with cement) and (ii) rushing to build the downstream Badush dam, having the task of containing the wave in case of a Mosul dam’s failure. Both operations were compromised in 1991, when sanctions were imposed on Iraq in the aftermath of the Gulf War. After US invasion in 2003 and the overthrow of Saddam, the US corps of Engineers undertook a $27m program to retake the grouting operations and finance assessment studies. But also in this scenario, corruption and mismanagement are on the agenda. Stuart Bowen, Jr, Special Inspector General for Iraq Reconstruction, in 2007, cited "lack of quality control, allowing deficient drawings, inadequate construction, incorrectly delivered equipment and materials, and failure to track completion" in the maintenance works . 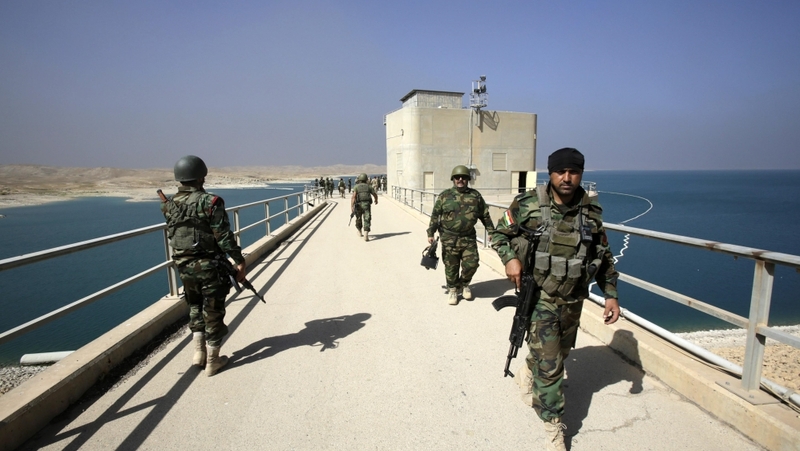 The situation further complicated when fighters from the Islamic State (ISIS) occupied the dam together with the city of Mosul and its main grout manufacturing plant in 2014  . The dam was taken back after fighter jets, bombers and drones by American, Kurdish and Iraqi forces in late August 2014  . The irony is that from then on, the dam’s turbines (who could not have been shut down to maintain the reservoir level low) have continued providing electricity to Mosul city, which is under ISIS control. The Islamic State militants have earned millions of dollars by imposing taxes out of it, according to intelligence reports . In the meanwhile, ‘solutioning’ of the foundation continued, and four significant worrying uneven movements of the dam sections have been registered since 2015. 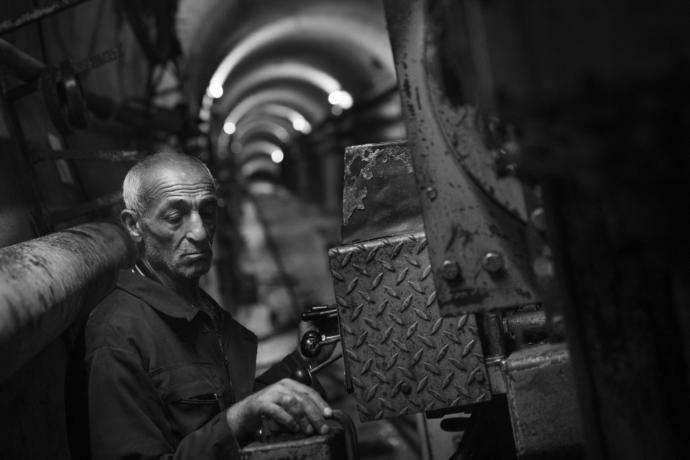 With ISIS occupation and the paralysis of Iraqi government preventing any evacuation of the downstream population or the adoption of alternative measure, the business-as-usual crash repair job appeared once again as best solution. In early 2016, the Italian firm Trevi S.p.A. (which 16% of capital is funded with Italian public money ) got a nearly €300m no-bid contract to continue with the urgent grouting operations under the patrol of hundreds of Italian and Kurdish soldiers. The Iraqi government asked and obtained credit from the World Bank. The New Yorker’s reporter Dexter Filkins  gives the feeling of the ‘ticking bomb’ drama of maintenance operations: “… a walk around the Mosul Dam gives you a sense of its scale and its problems [..] Here and there are gauges and cameras, part of a system that collects real-time information—water pressure, temperature, chemistry—that the U.S. Army Corps of Engineers monitors around the clock […] the work of maintaining the dam is performed in the ‘gallery’, a tunnel that runs inside the base, four hundred feet below the top […] the engineers are engaged in what amounts to an endless struggle against nature. Using antiquated pumps as large as truck engines, they drive enormous quantities of liquid cement into the earth. 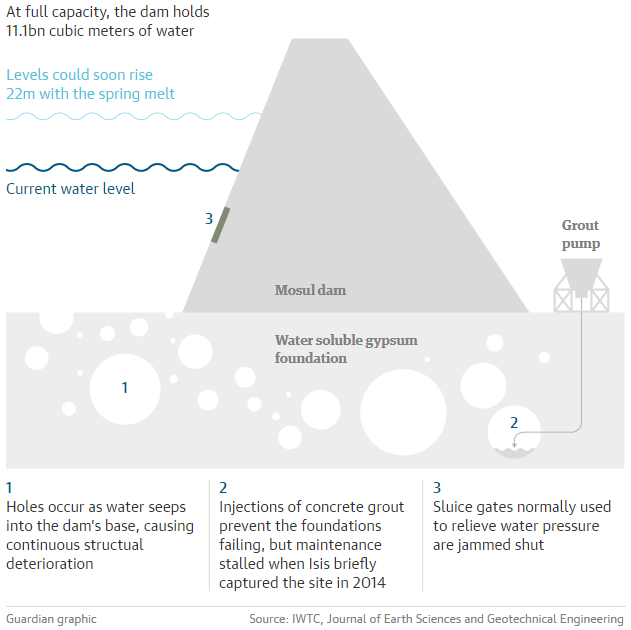 Since the dam opened, in 1984, engineers […] have pumped close to a hundred thousand tons of grout - an average of ten tons a day […] In the meantime; there are just enormous quantities of gypsum that are washing away”. 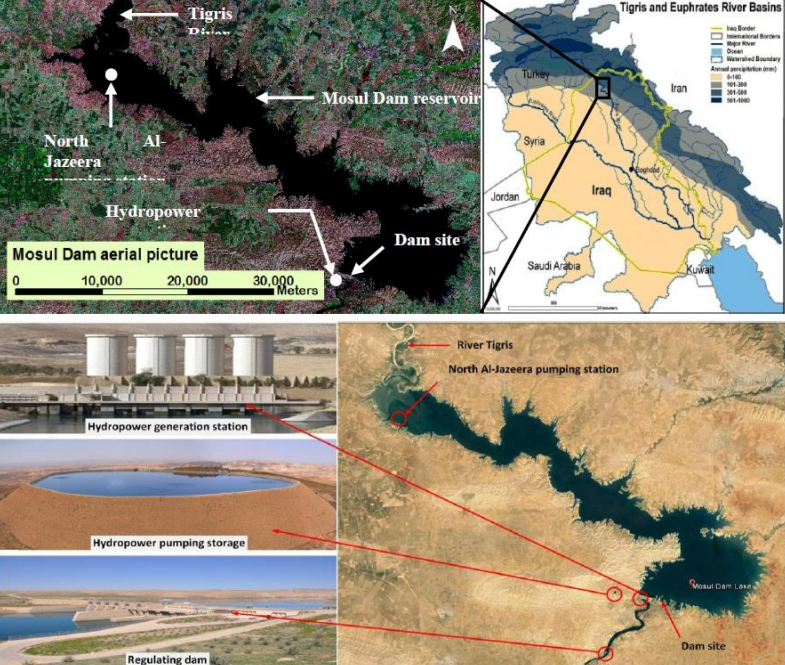 Sissakian, V., Al-Ansari, N., Knutsson, S. (2014) Karstification Effect on the Stability of Mosul Dam and Its Assessment, North Iraq. Engineering, 6, 84-92. Intel Analyst (Youtube, 2014) Exclusive Video: ISIS in Control of the Mosul Dam!